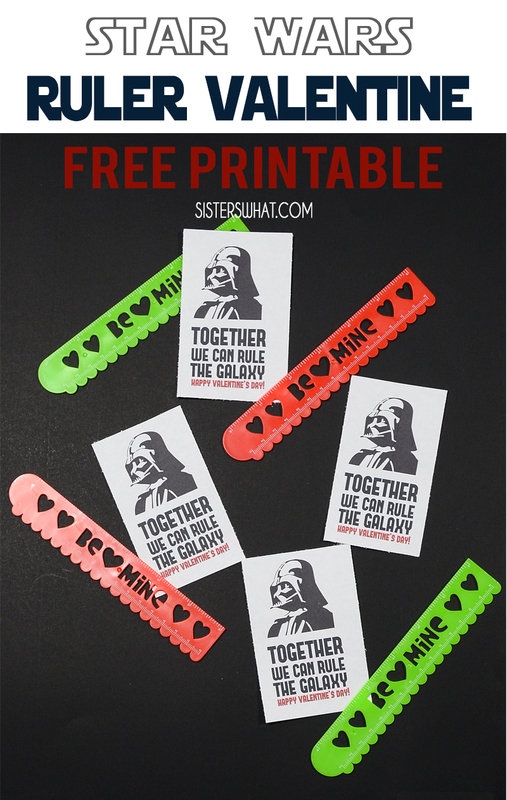 ' Star Wars Ruler Valentine Free Printable - Sisters, What! 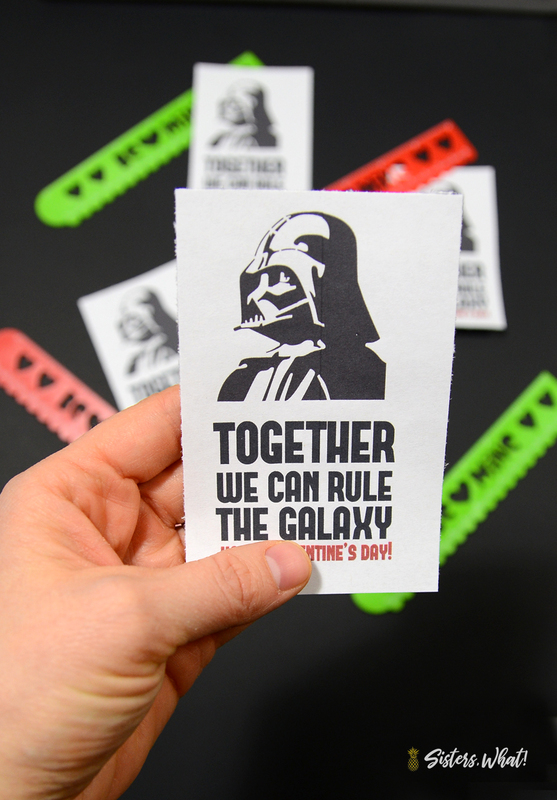 When we got home, my son said he wanted Star Wars Valentines and so I found my old Darth Vader Valentine file and went to print it out and realized how perfect it goes with rulers! 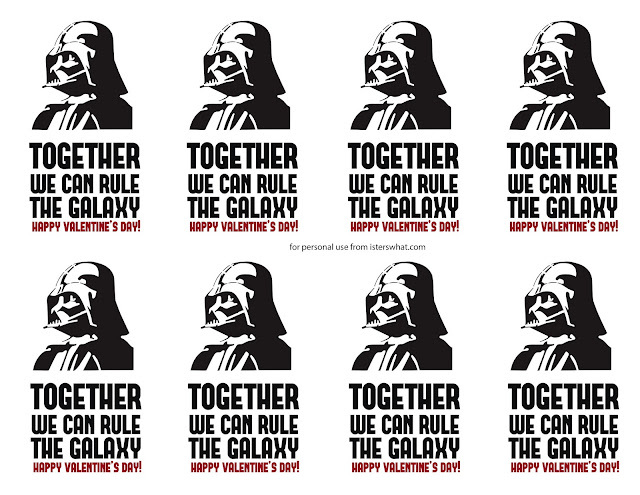 The perfect pun "Together we can rule the Galaxy". 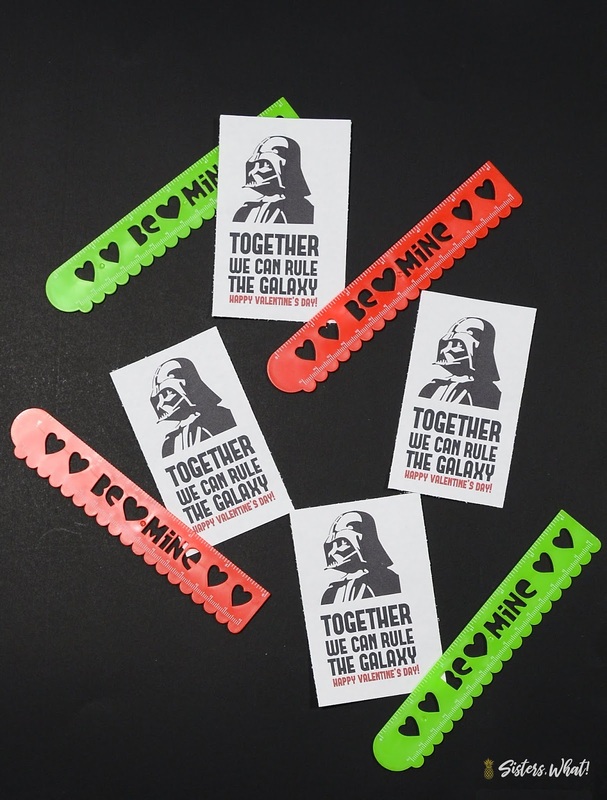 I love puns and I love that my 8 year old totally got the pun too.